Our pasture-raised pork is available at our Spring and Fall freezer sales as well as select retail events throughout the year. Our pork is frozen and vacuum sealed. We sell a variety of chops, roasts, ribs, link sausages, bacon, and our ever-popular breakfast sausage. 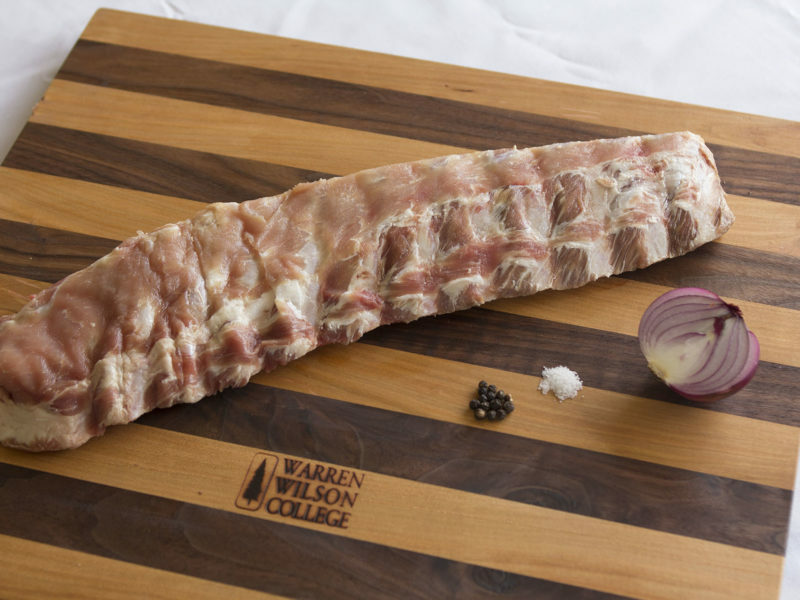 The ingredients for our seasoned pork products can be found on our WWC Farm Product Ingredients list. You can download our Spring 2019 order form now, (or visit our F.A.Q.) for information on how to purchase our pork and pork products. Our swine are born and live their entire lives on the Farm. 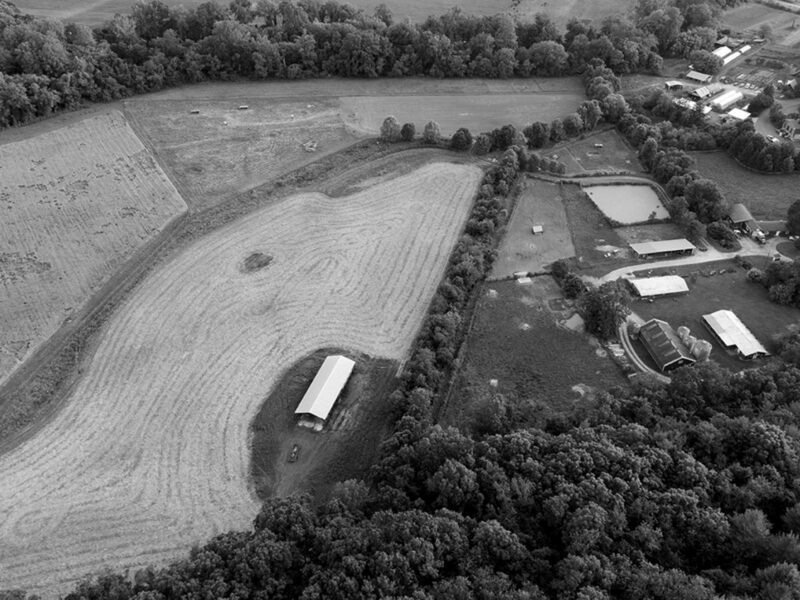 Our sows spend time in our pastures as well as in our swine houses. Sows give birth to two litters per year either on pasture or in our heated farrowing house, depending on the time of year. Sows housed indoors are given a large 10’x 10′ pen with a 10’x 12′ outdoor “porch” and deep bedded on straw to allow them to nest and root during their time indoors. Sows giving birth outdoors do so in a group setting, with each sow having her own individual house. Piglets are weaned and de-wormed at six weeks of age. 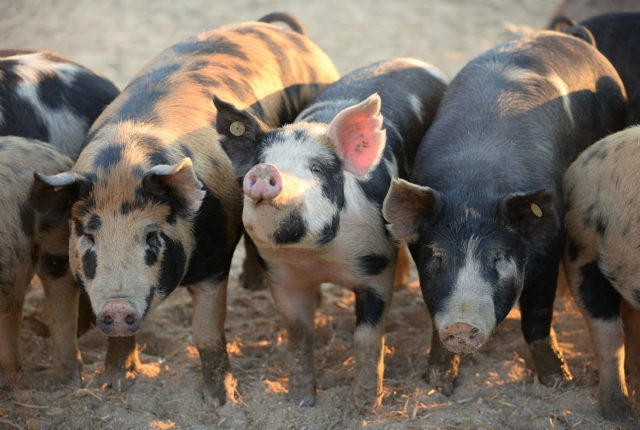 Weaned pigs spend the next six months frolicking outdoors in a rotational grazing system, grazing on specialized plantings and eating WWC grown grains. Both sows and growing hogs eat feed made of corn and barley grown right here, with purchased soybeans as the protein component. Our hogs are processed at a local facility that we trust to do the job right.